Memorial bench 1880 to writer & poet J.J. Cremer (1827-1880) designed by architect H.P. Vogel. 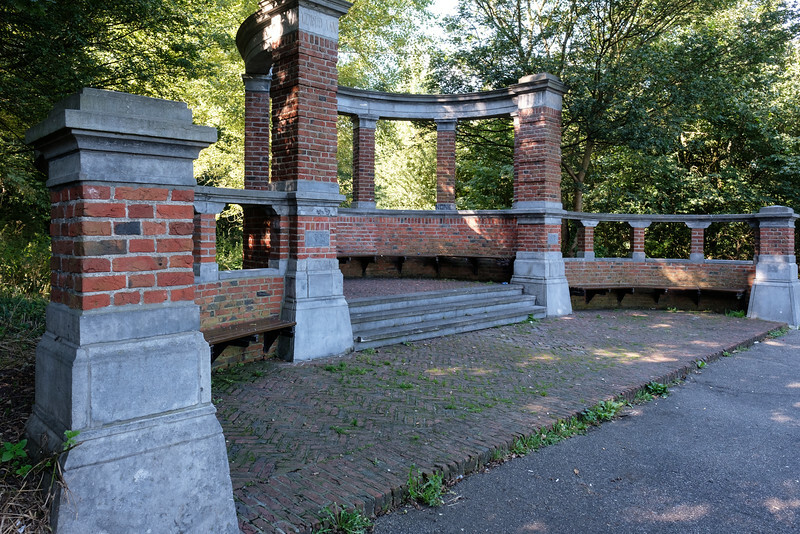 Disappeared during World War II and after WW II rebuilt & relocated to Duinweg, Scheveningse bosjes (woods) overlooking the water.